For a more detailed review, go under the cut. A very comprehensive book for Korean grammar. After every 20 grammar points, there will be an exercise (about 35 qns), and the questions are related to the grammar points just learned. They are taken from past TOPIK questions, and are structured according to difficulty level. I have the Mandarin Chinese-translated version of the book. 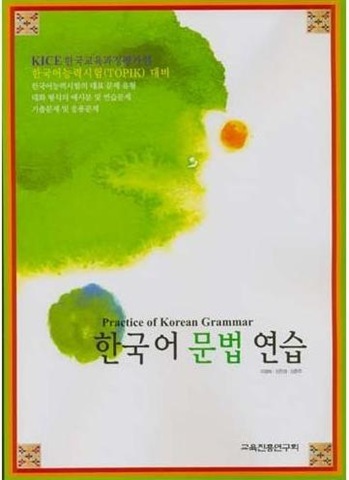 It’s a collaboration with Peking University Press and the only changes is that each grammar point explanation in Korean is followed by its translation and the examples are translated too. It’s easy to check up grammar points using the book and they group similar grammatical structures together, so it’s easy to work through them and be more aware of the minor differences between each points. I can’t find any bad points about the book, but I recommend this as a supplementary text instead of your main textbook. Suitable for intermediate students and above. interesting book~ Do you think this can help me for my preparation for KLPT? definitely~! 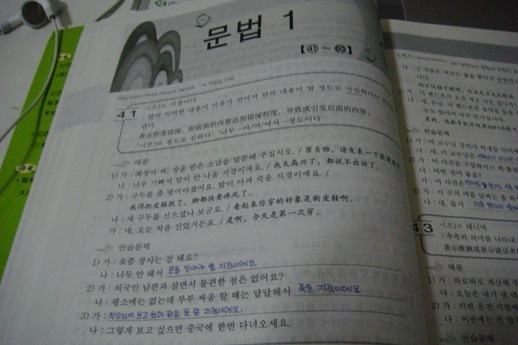 ^^ it’s really detailed and will help you in the grammar section! 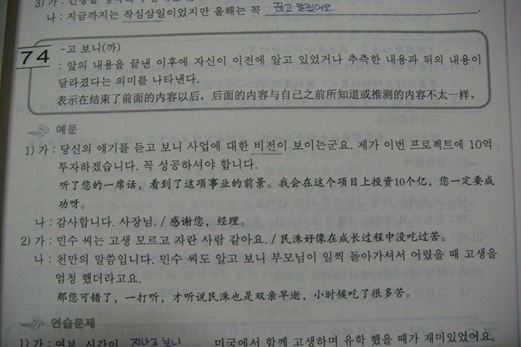 i hope i can get this in english^^ i’m poor in grammar construction. do they have this in korean-english version?? I doubt so(: never seen it before. Hi! This looks brilliant! Do they still have another copy at Kino that you’re aware of? Oh no… =( do you think you can provide the 13-digit barcode number? I might call them up to reserve a copy.. Thanks! I use the version that’s completely in Korean — and finding it very useful! Hi, I found this book on G Market but it has a different ISBN. Do you think it would probably be in the korean version? *Why don we show the price?